The third and final of the season Fans’ Forum meeting took place at Stamford Bridge on Wednesday 19 April 2017. The main topics of discussion were the club’s own annual fans’ survey, the temporary and new stadiums, and a mix of points raised by the various assembled representatives. The minutes can be downloaded as a PDF here. A summary of the CFC annual survey can be downloaded as a PDF here. The final Fans’ Forum meeting of the season will take place on Wednesday 19 April 2017. It is a general meeting and all topics are open for discussion, bearing in mind that on-pitch subjects do not fall under the Forum’s remit. If you wish to raise an issue, please let us know by Friday 7th April so that agenda items can be included. Questions and issues can be sent to our Fans’ Forum representative Debs Coady at enquiries@chelseasupporterstrust.com or debscoady@chelseasupporterstrust.com or via our contact form. The second Fans’ Forum meeting took place at Stamford Bridge on Wednesday 7 December 2016. The main topics of discussion were ticketing and policing, where members of the Metropolitan Police, local and football unit, were invited to take part. The Chelsea Supporters’ Trust representative was pleased to attend the recent Fans Forum meeting which focussed on the proposed redevelopment of Stamford Bridge. Questions regarding plans for the much heralded redevelopment of Stamford Bridge were put to members of the Club’s Board and the design team responsible for the redevelopment of the new stadium. The Chelsea Supporters’ Trust are delighted that the plans for the new stadium seem to be progressing well and that there were satisfactory responses to many of the concerns and issues that supporters have raised. However, the recent issues with the transition of West Ham United from the Boleyn Ground to the London Stadium serve as a timely reminder about potential problems when moving stadium and increasing capacity. It appears that many of the issues West Ham are facing might have been resolved had dialogue been held with supporters before the move. It should be noted that West Ham are one of the only Premier League clubs who do not have a Supporters’ Trust. We firmly believe that consulting with Chelsea supporters and their representatives prior to the re-development of Stamford Bridge (and temporary move whilst this happens) will result in potential problems being avoided. For this reason and acting on our mandate, the Chelsea Supporters’ Trust will continue to press the Club to introduce ‘Safe Standing’ areas within the new stadium so that those who wish to stand whilst attending Chelsea matches at Stamford Bridge are able to do so. The ‘rail seating’ system advocated by the ‘Safe Standing campaign’ has, this season, been introduced by Celtic Football Club at their Parkhead ground and has proved, beyond any doubt, that it is indeed a safe way of enabling supporters to stand whilst enjoying top-flight professional football matches. It is something that is undeniably beneficial to the atmosphere at games and we are disappointed that the Club’s safety team currently believe that it is not safe when the evidence would suggest otherwise. The Chelsea Supporters’ Trust will look to host the ‘Safe Standing’ roadshow again this season in the hope that as many supporters as possible can be informed as to the benefits and viability of safe standing. In addition, we will continue to press for like-minded supporters to be located together, as far as is practicable, to both enhance the atmosphere and to avoid the problems relating to re-location that West Ham fans have faced which has led to confrontations between their own supporters. 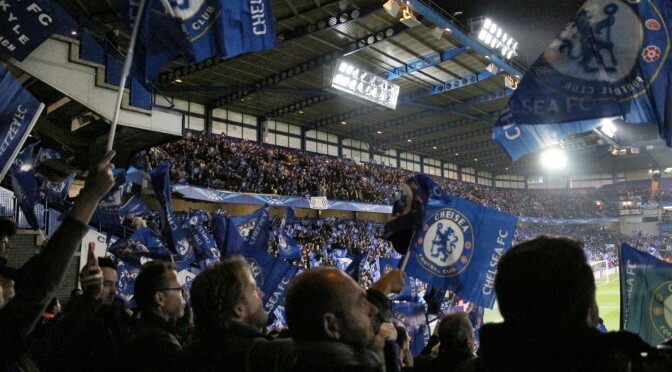 Chelsea Supporters’ Trust will also continue to campaign for equitable and affordable pricing to be introduced at the rebuilt Stamford Bridge which will ensure that different categories of supporters such as children, young adults up to the age of 25-years of age and those of a pensionable age are able to attend matches without being excluded by prohibitively expensive ticket prices. The above statement can be downloaded as a PDF here. The full minutes of the Fans’ Forum meeting of 12 September 2016 can be downloaded as a PDF here or can be found on the club’s web site. The first Fans’ Forum of the new season will take place on Monday 12th September 2016. The new stadium project team have been invited to present at the meeting and representatives of the Forum have been invited to submit questions to the team about queries concerning the development. We will be forwarding issues raised by our membership survey that cover both questions on the new stadium and issues during the interim period at a temporary stadium. Members are invited to submit questions to us for our Fans’ Forum representative to take forward to the meeting. Please send your questions for the stadium project team to enquiries@chelseasupporterstrust.com by 26th August 2016 at the latest to ensure inclusion. Please use the subject ‘Fans Forum’ for your email. We will post a link to the responses here when we have them (ie. when the minutes of the meeting are published). The third Chelsea Fans’ Forum of the 2015-16 season took place at Stamford Bridge on Wednesday 20th April 2016, to which the CST sent a representative. The main items discussed at this meeting were the annual Chelsea FC survey, touting, stadium redevelopment, away ST views, away match pricing, and the SLO role. The second Chelsea Fans’ Forum of the 2015-16 season took place at Stamford Bridge on Wednesday 18th November, to which the CST sent a representative. A special Chelsea Fans’ Forum took place at Stamford Bridge on Monday 5th October 2015, to which the CST sent a representative. The purpose of the meeting was to discuss the newly introduced European away ticket scheme and feedback from the Porto fixture.